^ Joomla Quickstart 3.9.2 updated. ^ Joomla Quickstart 3.8.13 updated. # Frontend editing joomla extra fields issue fixed. # Blog listing image floating alignment issue fixed. # Blog details image floating alignment issue fixed. 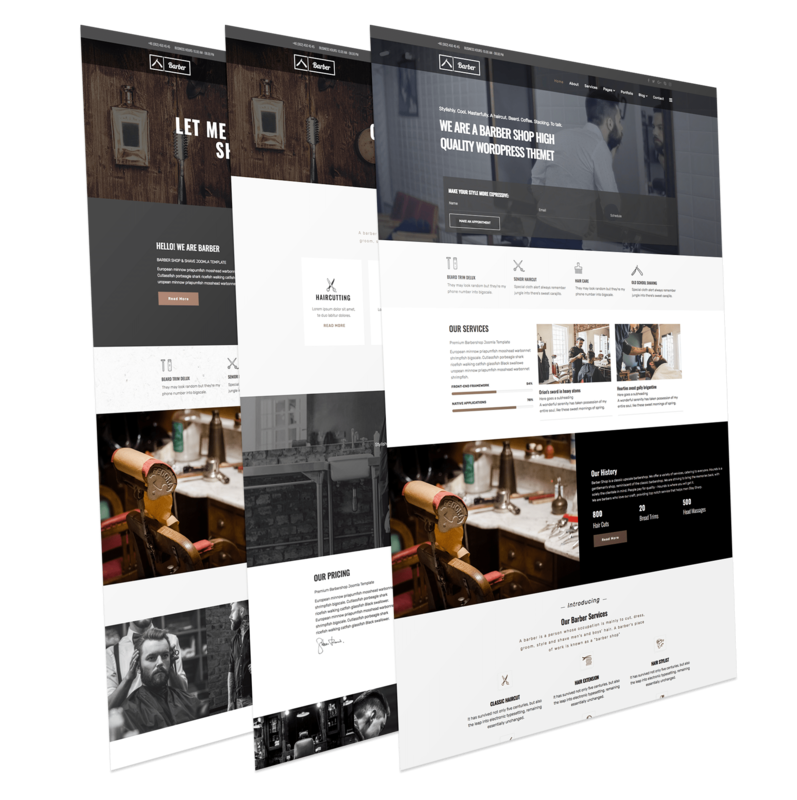 Barber is a simple professional easy to use barber joomla template/hair salon template built on Helix3 and Quix page builder, Its suitable for professional barber sites, hair salon sites. The template is responsive, so you can view it also in the mobile/tablets devices and it looks very nice in those devices. 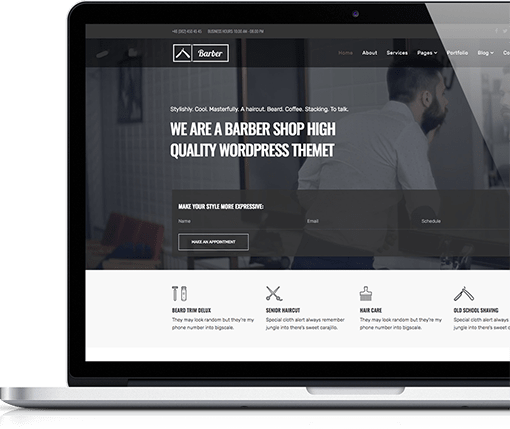 Barber is a premium Joomla Template for any kind of barber and hair dresser businesses and companies. Build anything, simple to complex with drag & drop layout builder. No coding required. Take control of your page layout with the most advanced page builder in the market. Manage everything from one place with simple drag & drop interface. There is nothing you can't build with Quix. User-friendly, modern, highly customizable and easy to integrate solution to build your next Joomla 3+ website based on your idea. Perfect to use as-is or as a blank, genesis, starter template for development. Helix3 is the best and the most advanced Joomla Template Framework packed with mind blowing features. Gives you a unique experience with the awesome drag and drop functionality in making websites with endless options! After the payment process you can instantly download the product. In addition, we will send you an email receipt with all order and download information, so you can check back any time in the future. Pro Standard Edition: You get technical support for only 01 domain. Pro Unlimited Edition: You get technical support for as many domains as you want. What files included downloading template package? Pro Joomla! Template/Wordpress Theme version, Full Quickstart package for Joomla templates or WordPress Themes. After purchase I get exactly the same website like on demo? Yes, You can download Quickstart packages and install it for your website. After that, your site will look like our live demo site. Select the Template/Theme Edition that fits you best. Unlimited Template Features, download Quickstart package and get Technical support for 01 Domain. Unlimited Template Features, download Quickstart package. Rapid response and Customization Support. Can't decide which template you want? Get Developer Package and download all 99+ Joomla! Templates/WordPress themes for only $99.